Mark Thuet had 21 kills, five aces, four blocks and 14 digs to lead Bonanza’s boys volleyball team to a 25-22, 25-27, 21-25, 26-24, 15-4 win over visiting Legacy on Wednesday. Mark Thuet had 21 kills, five aces, four blocks and 14 digs to lead Bonanza’s boys volleyball team to a 25-22, 25-27, 21-25, 26-24, 15-4 victory over visiting Legacy on Wednesday. Anthany Lemus had 39 assists and 10 digs, and Mataio Valoaga had 10 kills, six aces, 15 digs and five blocks for the Bengals. Rayden McLaughlin added 11 kills and five digs, and Emil Gonzalez had 11 digs and three aces for Bonanza. Nathan Johnson had 34 digs, and David Yancy had 18 assists and five digs for the Longhorns. Harrison Moore had seven kills and six digs, and Jacob Hernandez had seven assists and seven digs for Legacy. Las Vegas 3, Cheyenne 1 — At Las Vegas High, Kevin Switzer tallied 23 assists, seven kills and four digs to power the Wildcats to a 25-17, 25-23, 23-25, 25-15 win over the Desert Shields. Leander Gates had 15 kills and eight digs, and Jaelin Gray supplied 14 kills for Las Vegas. Denzell Brown had 11 assists and four blocks, and teammate Ryan Buchanan contributed 11 kills for Cheyenne. Del Sol 3, Western 1 — At Del Sol, Angel Vargas had 37 assists as the Dragons defeated the Warriors. 25-16, 17-25, 25-20, 25-12. David Anderson had 14 kills for Del Sol. Angel Sanchez had four kills and 31 digs, and Miguel Mata added 27 digs for Western. Desert Pines 3, Eldorado 1 — At Eldorado, Jose Plancarte-Villa had four kills, 12 assists and three aces as the Jaguars defeated the Sundevils, 25-23, 17-25, 25-20, 25-22. Ezekiel Washington had eight kills, and Tiaoalii Savea had three kills and six blocks for the Jaguars, who got five aces from Jahwan Giles. Christopher Garcia had 20 assists, five aces and five digs for Eldorado. Brennan Robinson added seven kills and two digs, and Osciel Zamora had five kills and two blocks for the Sundevils. Arbor View 3, Cimarron-Memorial 0 — At Cimarron, Max Senior had 27 assists and three aces as the Aggies defeated the Spartans, 25-22, 25-22, 25-7. Gideon Belnap had 17 kills, and Jaylen Harris added seven kills for Arbor View. Kilmor Amor had four kills and 19 assists, and teammate Johanthan Mika had nine kills and four digs for Cimarron. Palo Verde 3, Rancho 0 — At Rancho, Cooper Jarman had 19 assists and five kills, and Scott Solan added nine kills as the Panthers swept the Rams, 25-10, 25-12, 25-18. Kade Madsen had eight kills and two blocks, and Evan Hartshorn supplied seven blocks for Palo Verde. Adlai Rodriguez tallied nine kills and nine digs, and Omar Abushanab had 12 digs for Rancho. Centennial 3, Canyon Springs 0 — At Canyon Springs, Andrew Shiheiber dished out 36 assists to lead the Bulldogs to a 25-6, 25-6, 25-13 sweep of the Pioneers. Cole Kahle had 11 kills, and teammates Aaron Knudsen and Mark Frazier each added nine kills for Centennial. Sky Pointe 3, Chaparral 0 — At Chaparral, Jaegen Driscoll had 10 kills, and Brayden Dorsey served six aces as the Eagles swept the Cowboys, 25-12, 25-12, 25-9. Ryan Hedland and Luke Mecham each had five kills, and Danny Cox added four kills for Sky Pointe. Koby Sparks and Shon Williams each had four kills for Chaparral. Mojave 3, Valley 0 — At Valley, Juan Carbajal had 11 assists as the Rattlers defeated the Vikings, 25-12, 25-18, 25-5. T.J. Blanchard-Davis had eight kills, seven aces and two digs, and Taveon Alexander added two kills and two assists for Mojave. Miguel Torres-Barragan had eight digs, and Colin Lindo added five kills for Valley. Coronado 3, Silverado 0 — At Coronado, Jacob Ceci had 12 kills, four digs and two aces to help the Cougars to a 25-19, 25-20, 25-17 sweep of the Skyhawks. Alex Winiarczyk had 12 kills and seven digs, and Alex White added 32 assists, two kills, three blocks and 12 digs for Coronado, which got 21 digs from Andrew Corales. Caden Thomas had nine kills and 14 digs, and Jonathan Francis added four kills and six digs for Silverado. Green Valley 3, Bishop Gorman 0 — At Green Valley, Kyle Cronic recorded 13 kills, seven aces, and two blocks to lead the Gators to a 25-14, 25-17, 25-18 sweep of the Gaels. 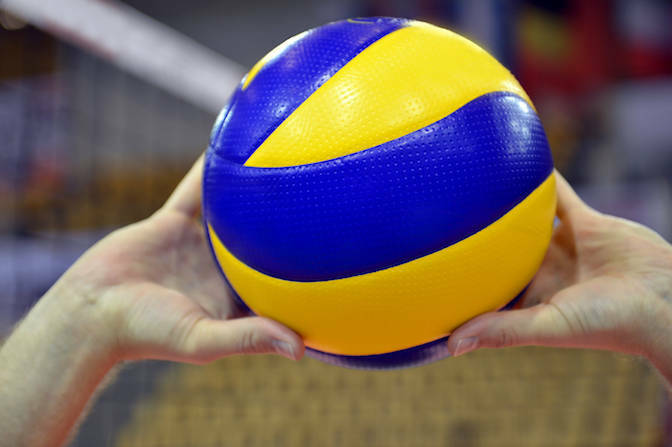 Chase Johnson had eight kills and five digs, and Zachary Hanson added five kills for Green Valley. Aiden Napoli had 15 assists, and Bradley Johnson had seven kills for Gorman. Boulder City 3, Sunrise Mountain 0 — At Sunrise Mountain, Boen Huxford dished out 25 assists, and Karson Bailey notched 17 kills to help the Eagles to sweep the Miners 25-15, 25-14, 25-22. Preston Jorgensen tallied nine kills, Kannon Rose supplied seven digs, and Kenny Rose added five assists for Boulder City. Johnny Pedraza had 18 assists for Sunrise Mountain.